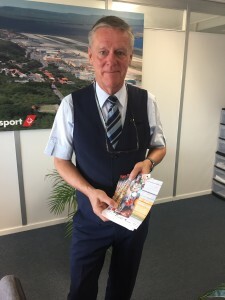 WILLEMSTAD – The Curaçao Hospitality and Tourism Association (CHATA) in cooperation with its Airline Partners gave away Flavors of Curaçao entrance tickets to arriving passengers during this week. 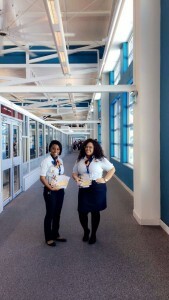 JetBlue gifted its passengers that arrived on October 25th while KLM and TUI presented passengers on one of their flights on October 26th with free tickets as a token of appreciation for flying with them. Flavors of Curaçao takes place on October 28th and 29th at Piscadera Village (Hilton Parking Lot). The entrance fee for both days is ANG 50 including 10 tokens. All proceeds of this event will be reinvested in tourism awareness programs and CHATA Member activities.